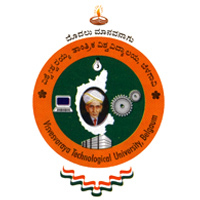 Visvesvesvaraya Technological University commonly called as VTU is located at Belagavi in Karnataka, VTU is one of the Best & Largest Public Technological University in India. Visvesvesvaraya Technological University was established on 1st April, 1998 to provide quality of education in the field of Technical Education. VTU has its head office in Jananasangama at Belagavi & has 4 Regional Centers across Karnataka in Bangalore, Mysore, Gulbarga and Belagavi. At presently Visvesvesvaraya Technological University has 202 Affiliated colleges, 1 Constituent College and 17 Autonomous Colleges, VTU has Quality Improvement Program Centers in its 13 affiliated Colleges & 16 Extension Centers to offer PG Programs for Students. VTU is offering B.E, M.Tech, MBA, Ph.d, Msc & Various Research programs for the students.